LA Femme Film Festival will host a female-centric anime event at the 14th Annual LA Femme International Film Festival on Friday, October 12th, 4 pm at the Regal Cinema at LA Live. 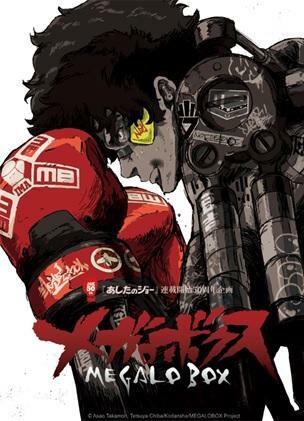 The segment will feature episodes of the popular anime series MEGALOBOX. There will be a Q&A panel following the screening with series producer Minako Fujiyoshi, moderated by writer Joelle Sellner. MEGALOBOX (13 x 30 minute episodes) began from the enthusiasm throughout the world for the celebration of TOMORROW’S JOE’s 50th anniversary. MEGALOBOX will have a new type of retro-anime style that will begin a trend that states: what is old is new again. As a reboot of the iconic anime series TOMORROW’S JOE, the show is a futuristic boxing drama that appeals to a broad age range. The younger crowd enjoys the cool retro art style and the older crowd reminisces about the classics. The dramatic animation and contemporary hip-hop music have added dimension to the series and drawn in audiences. TMS Entertainment Co., Ltd. (better known as TMS), one of the world's largest and most distinguished animation studios. TMS has won worldwide recognition from the international filmmaking industry for its highly-acclaimed animation, pioneering techniques and proud commitment to quality. With a dedicated team of development, production and design executives, TMS's growing reputation is reflected by the versatility, artistry and originality of the programs the company has produced for international markets.